Using superior materials during a home build is one of the keys to long term success. Just ask Nigel Hoss, a builder with Hoss Building Group. Marvin Windows endeavors to push design to its limits in aesthetics, function and durability. Their windows are preferred for new construction and are designed for unprecedented performance and outstanding aesthetics. Over the years, Marvin has built a strong reputation. The same can be said for Hoss Homes. For over 40 years, Hoss Homes has been building state of the art custom residential properties in Central Indiana. They are known for their quality work and have perfected the art of custom home building. One strong element that sets Hoss Homes apart from other builders is their knowledge and expertise. Steve Hoss, president of Hoss Homes, has a strong reputation for quality, and an enthusiastic eye for detail, that has helped him, and his company grow and thrive over the years. Steve founded Hoss Homes in 1975 with the belief that presence on a job and attention to detail are critical aspects of home construction. His builder sons, Nigel and Colin, have carried on the tradition of ensuring quality work. They know how to use methods and materials that are proven to last. Every home they build is unique and custom tailored to fit the needs of their clients. 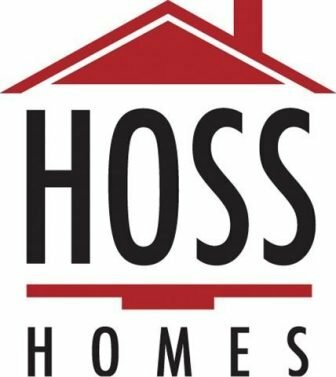 For additional information on Hoss Homes visit hosshomes.com or call 317-823-9788.